Life goes on ... in spite of everything. Shopping . 5eme Avenue . Macy's . Century 21 . Wall Street . Statue de la Liberté . 7eme . Time Square . Donuts . Starbucks . McDo . Central Park . Harlem . Greenwich . Gospel. Brooklyn Bridge . Abercrombie . H&M . Empire Building State . Limousine . Hummer . Basket . Subway . Carte . China town . Yellow cab . City lights . MOMA . Burger King . M&M's . Levi's . 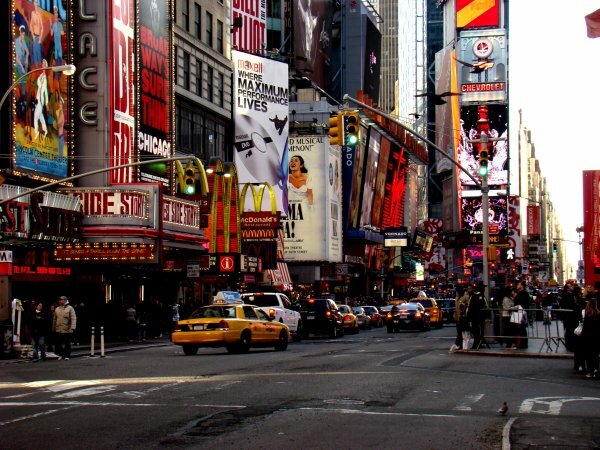 Broadway . THERE 'S NO GRAVITY TO HOLD ME DOWN FOR REAL . 'Cuz I'm being taken over by The Fear. I'm still waiting , Darling . Les examens sont finis. Le voilà bientôt parti. Je me lance la tête la première dans cette mer de l'inconnu. Fuir le Bonheur de Peur qu'il ne se sauve . Overdose de toutes ces choses.